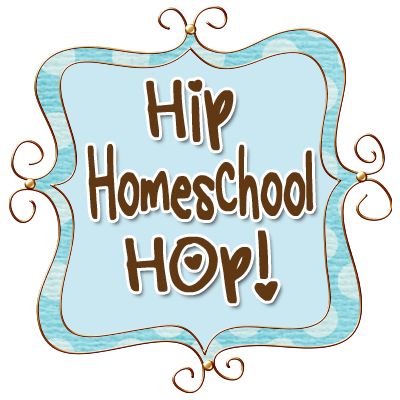 We won't be starting up our homeschooling again for a few more days as we are still in the process of moving and settling into a temporary spot until we are able to find a new home to purchase. In the meantime, this is something I wanted to post weeks ago for people who might be traveling over the holidays - but, due to illnesses in the family and Christmas craziness, it just didn't happen. Voila! A new car toy! 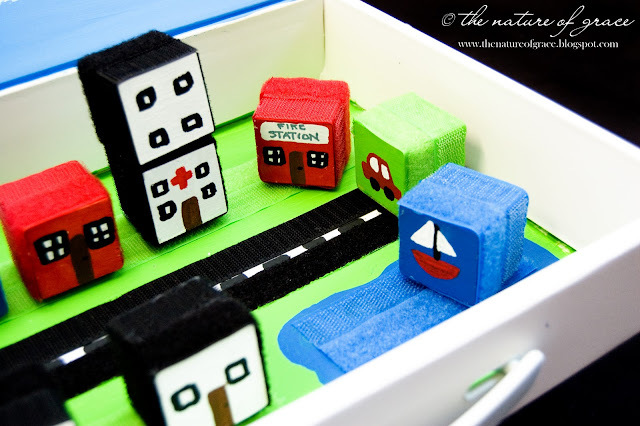 :) And the beauty of it is that the velcro helps to keep the pieces together instead of having them all over the car, so your little construction worker can build towers IN THE CAR without them toppling at every little bump. BTW: I am participating in a blog contest for the top 25 creative mom blogs and would LOVE it if you would cast a vote for me! :) The button is on the sidebar and you don't have to be a member or sign up or anything to vote - just click the button which takes you to the site and cast your vote. You can vote once a day so if you feel extra generous and want to cast a vote on another day - I would LOOOOVVVVEEEE it if you would! Thanks so much! If you would like to make your own, these are pretty easy to make. 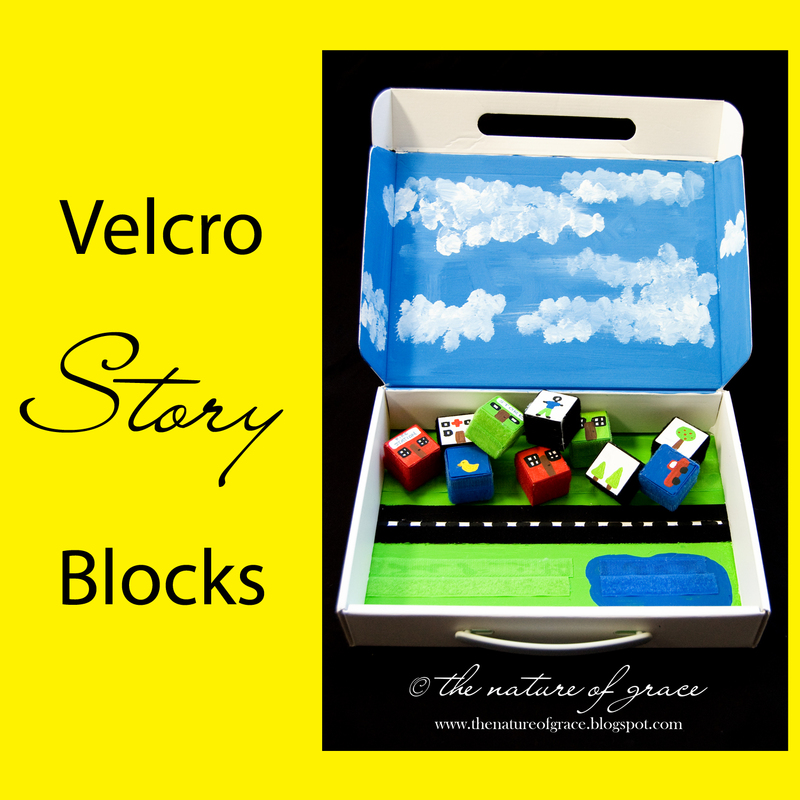 IMPORTANT: Examine your blocks each time to make sure the velcro is not detaching from frequent use. Do not give these to your children if you suspect they will try to put them in their mouths or try to eat the velcro. Materials: Velcro (I used colored as well as black), large wood blocks, paint (non-toxic), glue (super glue or hot glue). 1. 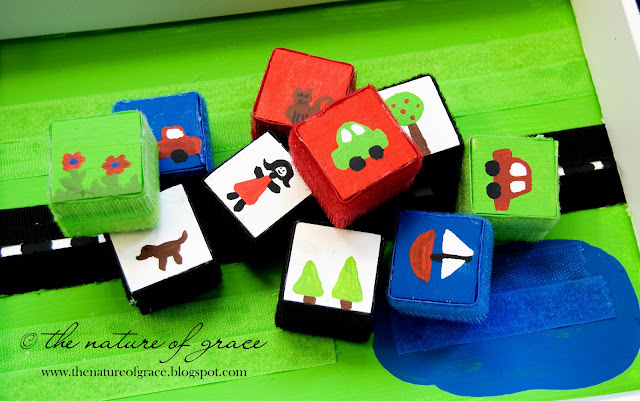 Paint your blocks (solid or with pictures on two sides). Allow blocks to dry. 2. Measure the amount of velcro you will need to wrap around each block once. Cut two pieces of velcro (you will want one with hooks and one without so that the velcro sides of each will be able to stick to all the other blocks. If you only used one side of the velcro such as the hooks side, it could only attach to a block with the other side of velcro such as the loop side. However, by using one strip of each per block, they can all stick together). 3. Glue both pieces of velcro around each block. What a cute idea! You could do all kinds of things with these - I'm going to have to make some! These are cute! My nephew would love them. Thanks for linking to Things I've Done Thursday! Awesome! I pinned this. I need to make these for my boys!! Love it! Did you buy colored Velcro (if so from where?) or did you color it yourself? Thanks for sharing your great idea! What a lovely idea - my daughter would love to play with these. That is a phenomenal idea!!! Thanks for sharing. So awesome! My little boy would love these :) Thanks for sharing! wow- what an inspired idea. I absolutely love it. 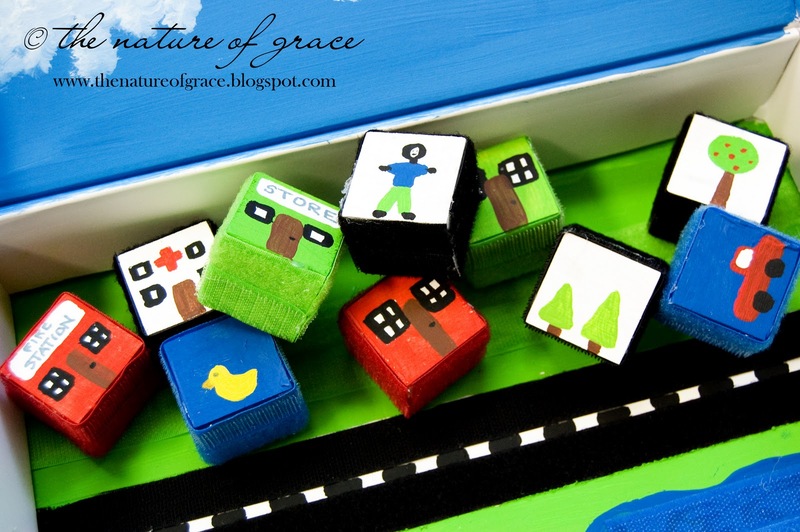 Beautiful - a lovely idea to keep little hands and minds busy on a long or short drive. Oh I'm going to make a whole city! Fantastic idea! I featured this amazingly creative idea at TGIF Linky Party #12 - Thanks so much for sharing your creativity with all of us. Come on by and link up this week, can't wait to see what you post!! Oh my so dang cute. I love the idea in so many ways. Thanks for sharing at monday madness. Wow, this is so creative! I am a new follower. 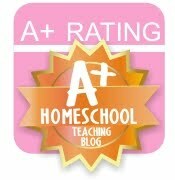 Please come and check out Cachey Mama's Classroom and feel free to link up some ideas at my Thinky Linky Thursday party! This would be wonderful for car trips! What a great idea! This is beautiful.. and so creative. I may just have to get started on one for the classroom. Thanks for sharing! So beautiful! Thanks for the comment and link back. This is a great idea for roadtrips. Hope the printable helps out! what size were the blocks? I am having a hard time figuring out the whole size of the kit. The blocks were 1 1/2 inches. I believe the box was about 13.75 by 9.75 inches. Hope that helps! :) Have fun creating! I don't know that these would hold up to an entire classroom of 5 year olds. I used hot glue but perhaps the velcro would hold much more strongly if super glue were used? You'd just have to make sure you didn't have any 5 years olds that liked to put stuff in their mouths because I would be concerned about the possible toxic nature of the super glue if ingested even in a small amount. What about sock puppets or story blocks without the velcro? Love this idea! Hoping to make some. Where did you find the blocks? Were they finished or unfinished? What did you use to paint them? Love your blog. This is so creative. Gonna teating this travle toy DIY out.